This article explains how you can set up parent-child categories, or sub categories. Where only one of the categories has an email ID associated with it, but tickets in the other (child or sub) categories will also be updated with the responses sent by the customers. You can set up just one Category with email integration enabled and have more sub categories, each of which need not have an email ID associated with them. Such that when replies are sent on tickets which belong to these non-email integrated sub categories, the customer will receive them and subsequent replies sent by the customer will come back into HappyFox and get appended to the ticket, even though it belongs to a sub category to which an email ID is not associated. 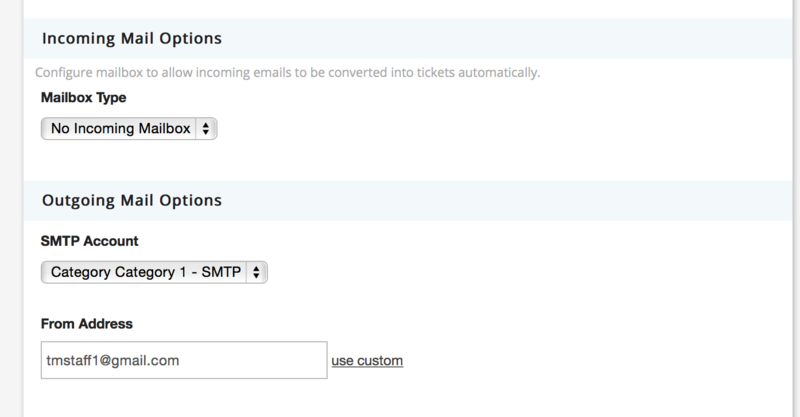 To do this, HappyFox allows you to configure and setup SMTP for outgoing emails at a per category level. With this configuration, emails sent to tmstaff1@gmail.com will be created as tickets in Category 1 (if the forwarding rule is configured correctly). You can then move the ticket(s) from Category 1 to Category 2 manually or based on some conditions (via Smart Rules). Once the tickets are in Category 2, your helpdesk staff can work on them and send replies to the customer just as they normally would. As long as the SMTP details are correct, these replies will be delivered to the customers. When customers send a reply subsequently, the email will be parsed and appended to the same ticket, which is now in Category 2. Although they are actually sending an email to tmstaff1@gmail.com, which is the email ID associated with Category 1! You can also customise the FROM ID for all such categories, simply as one email ID like noreply@<accountname>.happyfox.com. To change the FROM ID for a sub category, click on the text link "use custom" and specify the email ID you'd like. 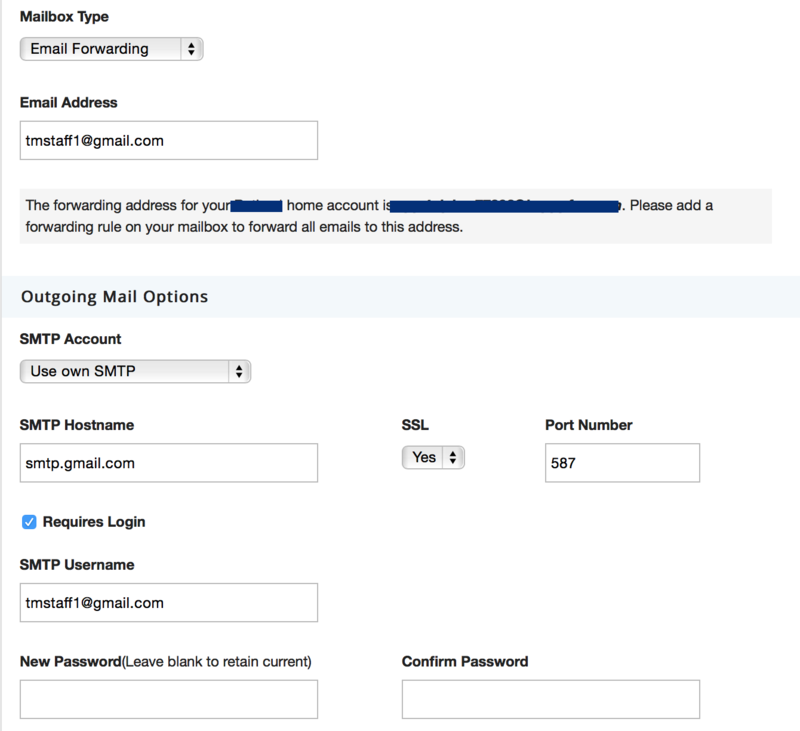 Note: In the case of using Gmail IDs for the SMTP settings, a custom FROM ID will not take effect since Gmail forces the email ID associated with the SMTP account to be the FROM ID in the outgoing emails, even if something else is specified.